The $1.1 billion deal includes four firing systems and two types of missiles, as well as other equipment and training. STOCKHOLM — Sweden will buy the Patriot air defense missile system from U.S. arms manufacturer Raytheon Co, the government said on Thursday, as it looks to boost its defenses amid growing tensions with Russia. 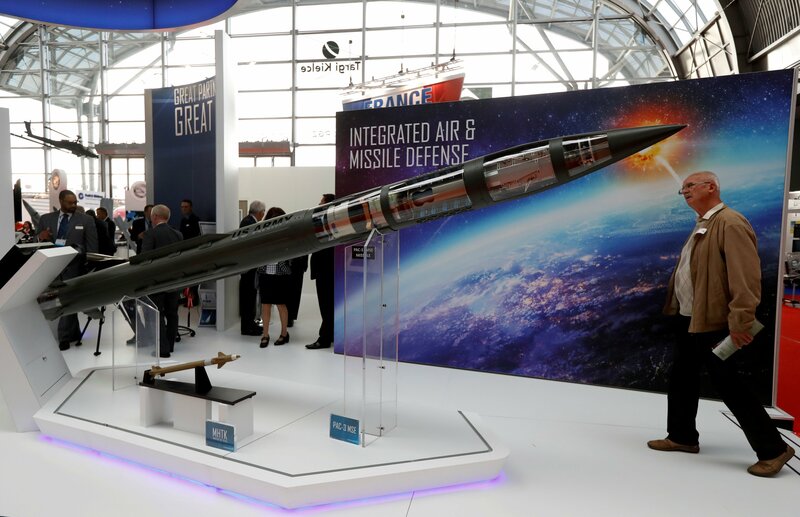 Sweden’s Defense Materiel Administration (FMV), which handles military logistics, began negotiations over Patriot in November last year aiming to replace the current air defense system which cannot shoot down ballistic missiles. Negotiations were concluded in April and the government was expected to go ahead with the purchase. “The government has decided to authorize the FMV … to sign a contract with the United States to buy the American air defense system Patriot,” the Defense Ministry said in a statement. The deal will include four firing systems and two types of missiles as well as other equipment and training, the government said, with delivery completed before 2025. In April, the FMV said the initial deal would be worth around 10 billion Swedish crowns ($1.13 billion). But that could triple if Sweden uses an option to increase the number of missiles it purchases to a maximum of 300. The government did not say how many missiles would be included initially or give its long term plans. The center-left government has the backing of the main, center-right opposition for the purchase, but there have been disagreements about whether to fund the deal separately, or include it in the current military budget, which could lead to defense cuts elsewhere. Russia’s actions in Ukraine and the Crimean Peninsula have pushed Sweden, which is not a member of the North Atlantic Treaty Organization, to start rebuilding its defenses after decades of neglect following the end of the Cold War.